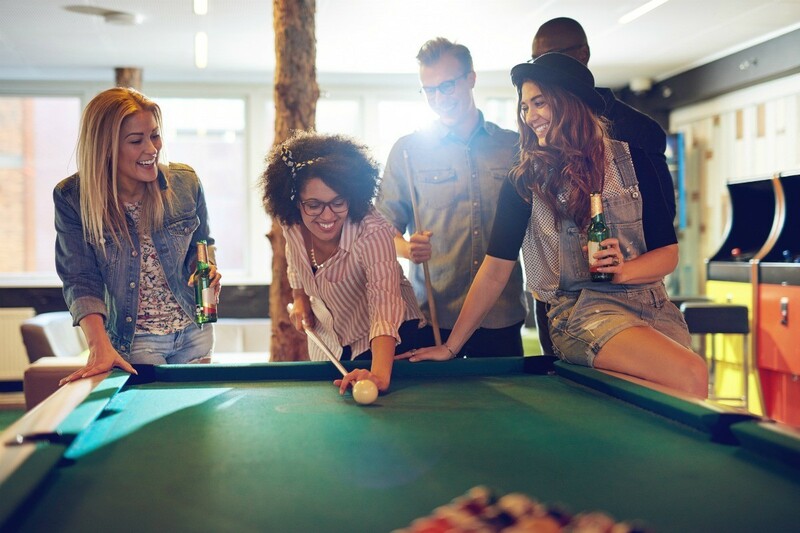 This guide contains activities ideas for a beer and wine pool hall. Offering activities such as a trivia night, karaoke, darts, and shuffleboard can bring in patrons throughout the week. I run a smallish beer and wine pool hall. We have trivia night, beer specials, shuffle board, dart boards, pinball, and a bowling game. Tournaments have not lasted in the past. Trivia night is our most successful event. What are some ideas to keep regulars entertained, drinking (responsibly of course) and interacting on different nights of the week? Maybe hold a pool contest with some prizes? Half off games night?